(1)FRONT SHOE SET. 5) LEFT REAR WHEEL CYLINDER. 6) RIGHT REAR WHEEL CYLINDER. 2) 2 X LEFT FRONT WHEEL CYLINDER. 3) 2 X RIGHT FRONT WHEEL CYLINDER. 4)REAR SHOES SET. You are obliged to take reasonable care of the item. (1)FRONT SHOE SET. 5) LEFT REAR WHEEL CYLINDER. 6) RIGHT REAR WHEEL CYLINDER. 2) 2 X LEFT FRONT WHEEL CYLINDER. 3)2 X RIGHT FRONT WHEEL CYLINDER. 4)REAR SHOES SET. You are obliged to take reasonable care of the item. 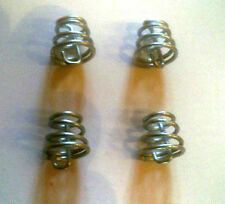 (1)REAR SHOE SET. 2) LEFT REAR WHEEL CYLINDER. 3) RIGHT REAR WHEEL CYLINDER. You are obliged to take reasonable care of the item. We will work to resolve any issues and assist in anyway that we can. NEW SET OF 4 Rear Brake Linings with Rivets. MORRIS MINOR 1000 (1962 - 1967) SET OF 4. These parts are supplied NEW and boxed. F or reference, they have the Part No. MORRIS MINOR SERIES II ; YEARS 1952-1956. MORRIS MINOR 1000 SALOON, CONVERTIBLE & TRAVELLER ; YEARS 1956-1971. Manufactured by Borg & Beck. We buy direct from Quinton Hazell, Firstline, Gates and Borg and Beck making us Midlothian's only authorised dealer of Quinton Hazell parts. Minor 1000 & 1100 - from November 1955 to October 1971. We buy direct from Quinton Hazell, Firstline, Gates and Borg and Beck making us Midlothian's only authorised dealer of Quinton Hazell parts. Manufactured by QH (Quinton Hazell). Minor 1000 & 1100 - from November 1955 to October 1971. 4 x front brake shoes suitable for the early 7" drum. CBC Classic Car Parts. Manufactured by Quinton Hazell. MORRIS Minor. from November 1955 to october 1971. Can't find what you're looking for?. Looking to place a bulk order?. to fit the following vehicles. Morris Minor. Here's a set ofRear Brake Drums & Shoes for the following models fromMorris -. Only suits the rear - The front brakes are different. I can do much more on the phone. Morris Cowley 1200cc (1954- 56). I can do much more on the phone. 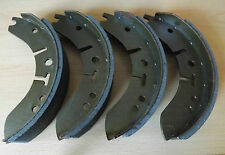 Here's a set of (x4) ofFront or Rear Brake Shoes for the following models fromMorris -. If you need enough shoes for the Front & rear then change the Quantity to x2 at checkout. 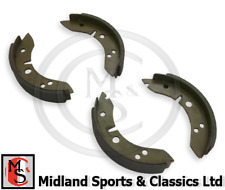 REAR BRAKE SHOES (AF) - MORRIS OXFORD MO. Minor - 1000 & 1100 - from November 1955 to October 1971 MANUFACTURED BY BORG & BECK. We buy direct from Quinton Hazell, Firstline, Gates and Borg and Beck making us Midlothian's only authorised dealer of Quinton Hazell parts. Morris Minor. 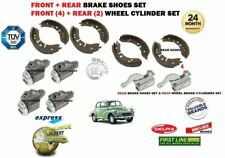 Here's a set ofFront Brake Drums & Shoes for the following models fromMorris -. Only suits the front and only up to 1962 becasue they used 8" drums from then onwards. (1948- 62 Only). (Suits Saloon, Van, Pickup & Traveller). We buy direct from Quinton Hazell, Firstline, Gates and Borg and Beck making us Midlothian's only authorised dealer of Quinton Hazell parts. BRAKE SHOES (SET OF 4). We are a family run motor factors in Midlothian, Scotland. 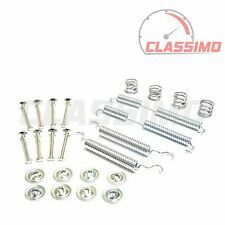 SET OF 4 FRONT BRAKE LININGS WITH RIVETS. Maxi from 1971 to 1982. We are a family run motor factors in Midlothian, Scotland. Our staff have over 50 years cumulative experience in the motor trade with one of us specialising in Ford parts and have access to old microfiche for Ford O.E.M parts numbers. MORRIS MARINA 1.3. FITS MORRIS MARINA. FRONT BRAKE SHOES IF FITTED FRONT BRAKE SHOES . FRONT BRAKE SHOES. ITAL, 1100, 1300, 1800, 2200, OXFORD & BRAKE SHOES . BOXED SET CONTAINS 4 SHOES. £11.90 BOXED SET. 1948 - 1954. FRONT BRAKE SHOE SET - 4 SHOES. Morris Minor Austin Healey Sprite MK1 Frein Arrière Chaussures Bon Qualité Clouté! Part No for Reference GBS704AF. 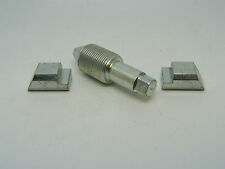 Will fit MORRIS 1000 FRONT 1956-1962,MK1 AUSTIN HEALEY SPRITE MK1 948CC ,MK1 MG MIDGET . Grab A Bargin . Morris Cowley 1500cc (1956- 58). I can do much more on the phone. 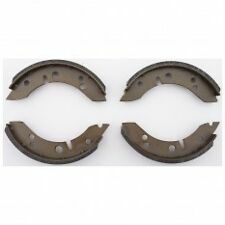 Here’s a set ofBrake Shoes for theFront or Rear of the following models fromMorris –. NEW SET OF 4 FRONT Brake Linings with Rivets. MANUFACTURED BY BORG & BECK. We buy direct from Quinton Hazell, Firstline, Gates and Borg and Beck making us Midlothian's only authorised dealer of Quinton Hazell parts. Minor 1000 & 1100 - from January 1962 to October 1971 Shoes are for 8 (203mm) drums.